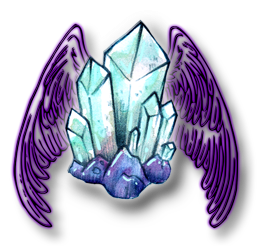 When using angel healing crystals you combine the power of angels and crystals in a healing session and you double up the healing energy. Certain crystal properties lend themselves to the opening of the heart and third eye chakras (love, healing and intuition) which is the energy centers mostly used for making contact with the angels and archangels during healing. Not only can crystals be programmed and dedicated to work with the angelic realm in healing but your angels can also be contacted with the help of gemstones. I have created a powerful set of beautiful "Angel Altar Cards" that can be used in conjunction with angel healing crystals, once you have programmed and dedicated a stone to the angels. When asking for guidance and help from angels. Placing your angel healing crystals in a room for healing with angels. Placing them on photos when sending angel healing to the past, present or future. Carrying angel healing crystals with you for healing, support, inspiration or protection. Your imagination is your only limit as to how you can use angel healing crystals to improve, change and heal your life. This is a most extraordinary and powerful spiritual, protective and calming crystal and is one of the premier gemstones for connecting to the Angels, Archangel Zadkiel, your Higher Self and the Master Teachers. It is a powerful transformational healer transforming blocked energies as well as encouraging spiritual growth. Angelite is a compressed form of Celestite and its banding often resembles Angel wings. It is an opaque, blue and white crystal, sometimes containing flecks of red. As its name suggests, Angelite is said to help attune the user with the angelic realm, to facilitate angelic contact and attunement. This gemstone also vibrates to Archangel Uriel and brings inner peace, tranquility and calm. It encourages also encourages self devotion. Apophylite is a powerful energy transmitter and its presence in a room enhances the healing energies whether from angels, Reiki or the use of other crystals. It's high frequency work very well with the angelic realm and other than Selenite is powerful enough to cleanse and clear quartz crystals. It activates the Third-Eye and Crown Chakras, making them more receptive to spiritual energies and can transfer ideas gathered from the higher domains to be used with the conscious mind. Celestite (also known as Celestine), from the Latin "caelestis" meaning "celestial" or "heavenly", was aptly named, for these dusky sky blue crystals have a very ethereal appearance. It is also called the "Stone of Heaven" partly due to its soft celestial color and it was once believed to have been created by "angel song from the celestial choirs". One can access the angelic realms and Celestite has beneficial "stories to tell" through channeling angelic wisdom. Some even say it originally came from the cluster of stars known as the Pleiades (commonly called the "Seven Sisters") and that it holds celestial wisdom. Moldavite is one of my favorite stones, it is "the extraterrestrial meteorite" and is a powerful crystal for connection to the universe and Cosmic Messengers. It has an extremely high energy vibration and are among the most powerful gemstone tools for spiritual development and expansion of consciousness. They seem to engender an acceleration of one's inner growth and evolution. It opens, clears, energies and aligns all of the chakras and can greatly enhance the effect of other crystals taking them to their highest vibrations. Selenite is an alternate name for the mineral Gypsum. It has the appearance of fine ribbed ice and the energy of pure white light, higher consciousness and transcendency. It is highly calming and its luminescent quality helps to focus the mind which is a very desirable state for effective communication with the Angelic Realm. It opens the upper chakras rather quickly, allowing spiritual connection to come forward from the angels. I also use Selenite in my Angel Crystal Grid to ask the angels to step forth and assist me with healing.